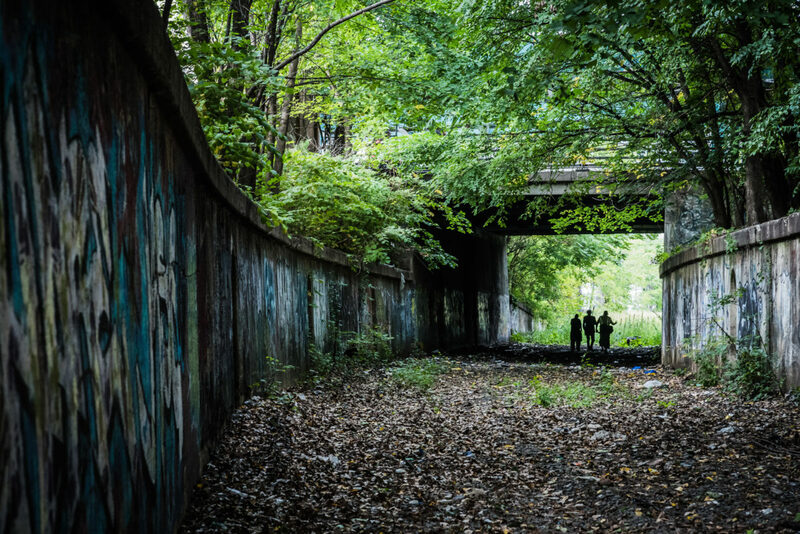 Clara Cardelle, left, and Mike Bailey, right, approach a man shooting heroin in a Bronx park. 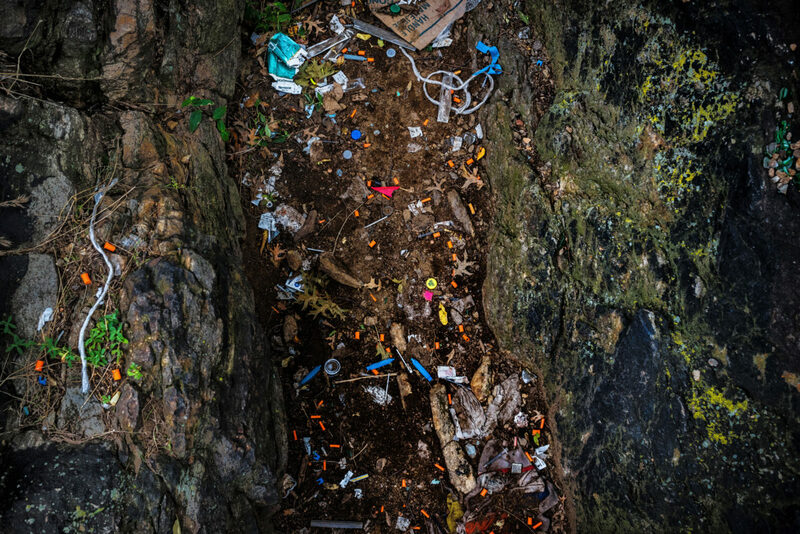 A site known for heavy drug use in a Bronx park is littered with orange needle tips, blue syringe holders and tie-off's used for injecting heroin. 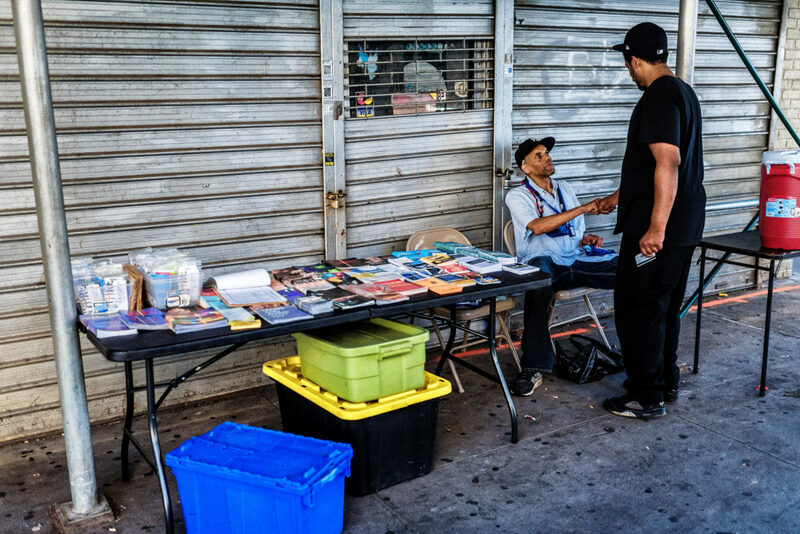 Outreach specialist, Jerome Sanchez, sitting, at a syringe exchange site in the Bronx. 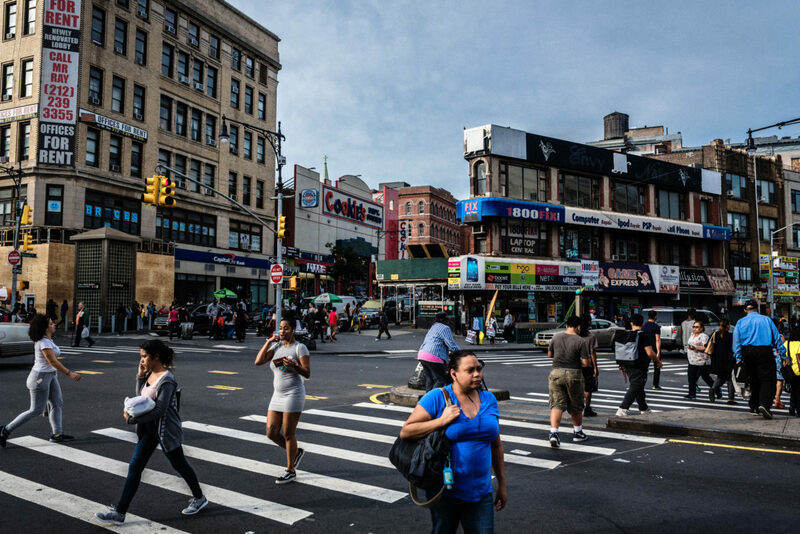 Melrose Ave and 149th St. in The Bronx. Outreach worker, Kelly Culbert, right, consoles her longtime friend, Jackie, left, after shooting up in the Bronx. Open-air drug den and shooting gallery formerly known as "The Hole." The site was bulldozed and shut down by the city of New York in May 2017. Kelly and Jackie outside a syringe exchange site in the Bronx. 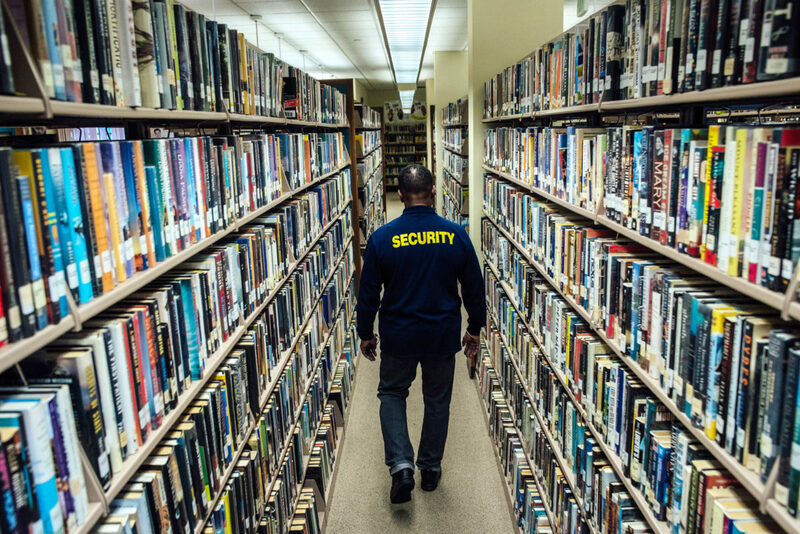 Former police officer and current security guard, Will Hopper, patrols the aisles at the Middletown Thrall Library in Middletown. 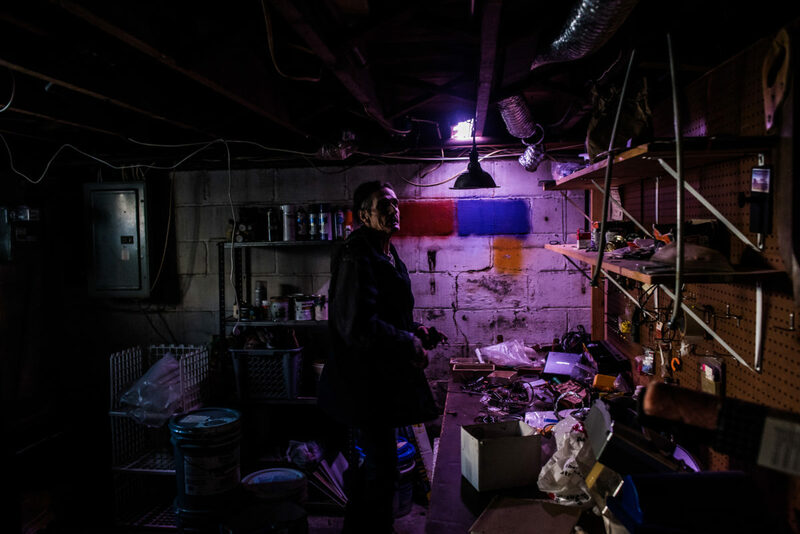 The public site had become a place where people use drugs when it was too cold outside. 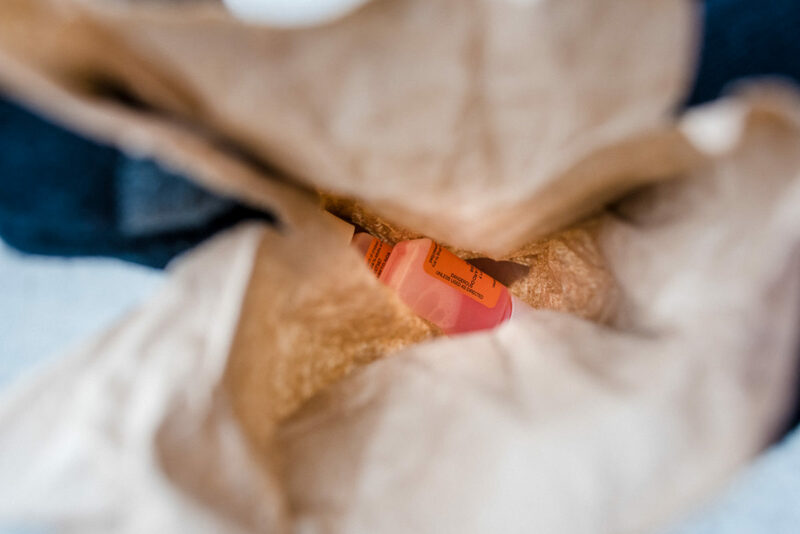 Noa Barreto's take-home methadone bottles in a paper bag. On Fridays, he is allowed to take home two bottles of methadone - one for a dose on Saturday, and one for a dose on Sunday. 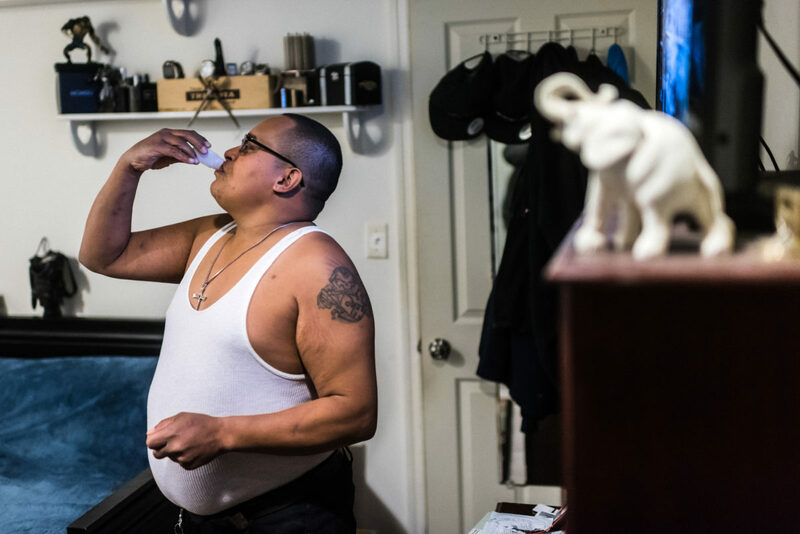 Noa Barreto takes methadone at his home in Bay Ridge on a Sunday morning. On Fridays, he is allowed to take home two bottles of methadone - one for a dose on Saturday, and one for a dose on Sunday. Lis Neilson, left, and JC Marin, right, doing household chores in their backyard in Copiague, Long Island. In 2013 they lost custody of their son and daughter to CPS because of heroin addiction. "Every day I wake up, I go to the clinic, and then I come back home. The next day I do it all over again," Lis said. 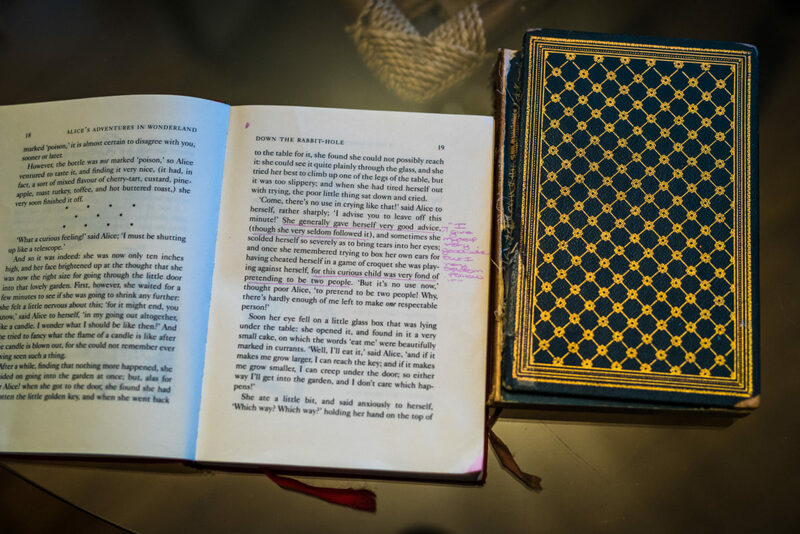 Underlining in a copy of "Alice in Wonderland" that Lis made when she was a teenager, at her home in Copiague, Long Island. Lis said she started using drugs when she was in high school. JC Marin kisses his wife, Lis Neilson, goodbye at their home in Copiague, Long Island. 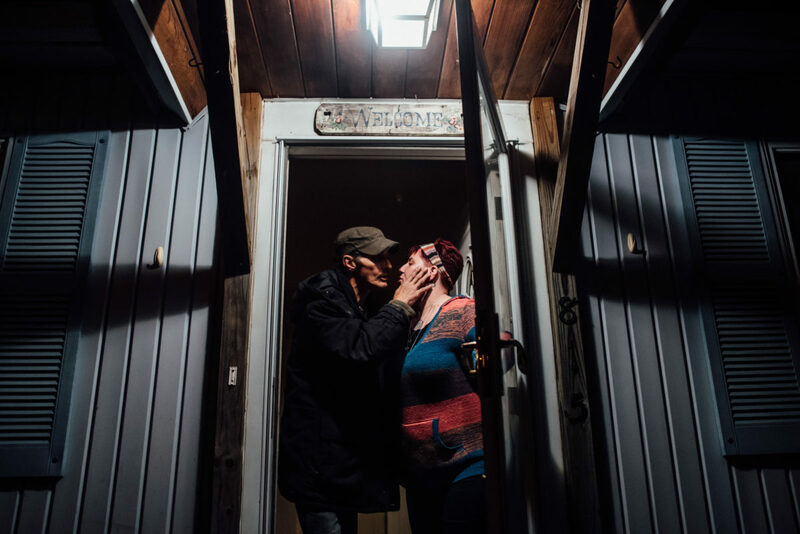 In 2013, they lost custody of their son and daughter to CPS because of heroin addiction. The children now live with a new adoptive family, and JC and Lis haven't seen them in almost a year. "I'm missing the only two things I ever need," Lis said of her children. JC expresses deep remorse about the first day he used drugs, decades ago. 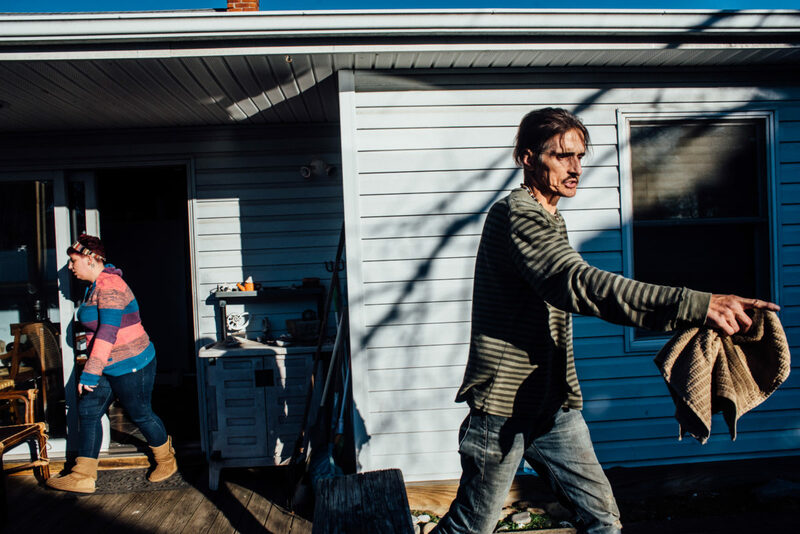 "Because of heroin, we lost everything. I wish I could go back in time and slap it out of my hands. We can't fix what we messed up." 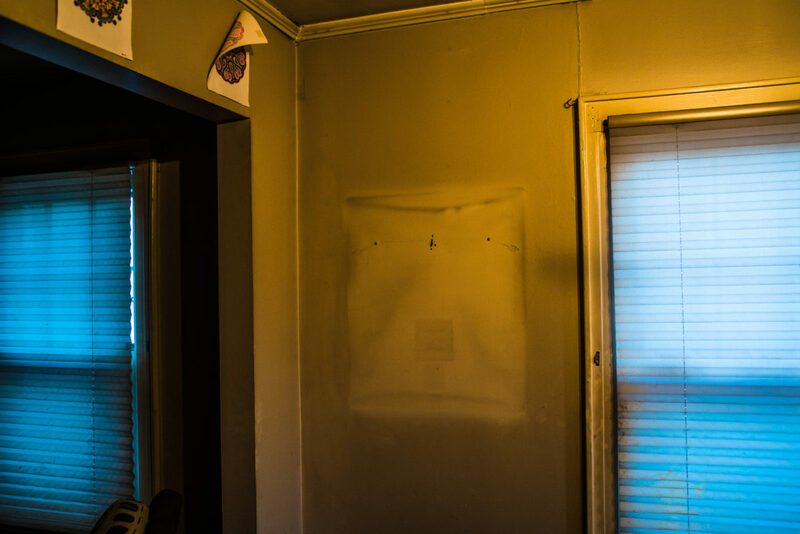 An empty wall in JC Marin and Lis Neilson's dining room in their in home in Copiague, Long Island. In 2013 they lost custody of their son and daughter to CPS because of heroin addiction. Lis said there used to be a picture of her son on that wall, but she had to take it down. "The love of a child is something I wish I never knew. Why would God give me that feeling to love a child, and then take them away?" Lis said. Photojournalism is built on the idea that photojournalists are witnesses to history. Part of our job is to visualize issues the general public does not have immediate access to. We have a responsibility to portray the visceral realities of an often devastating world, but we also have a responsibility to maintain the humanity of the people we photograph. And on this measure we too often fail, especially when it comes to coverage of drug abuse. 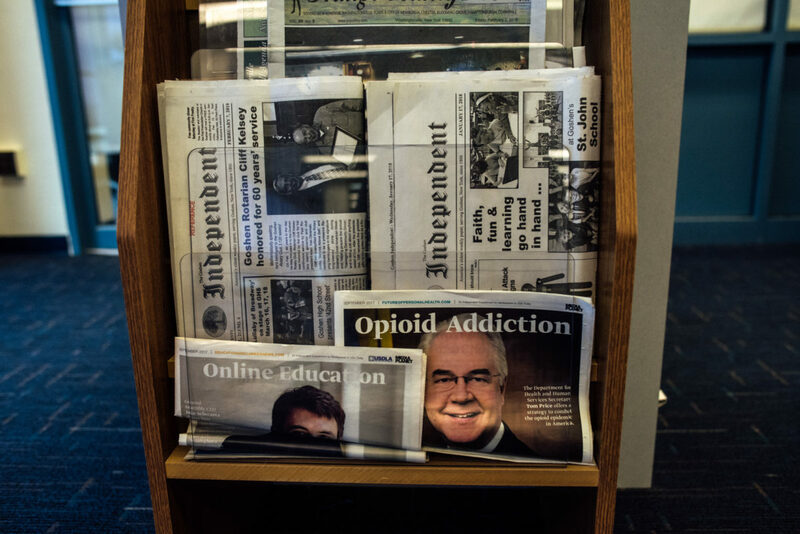 Almost four decades later, the opioid epidemic has shown that journalism still slouches toward sensationalism. 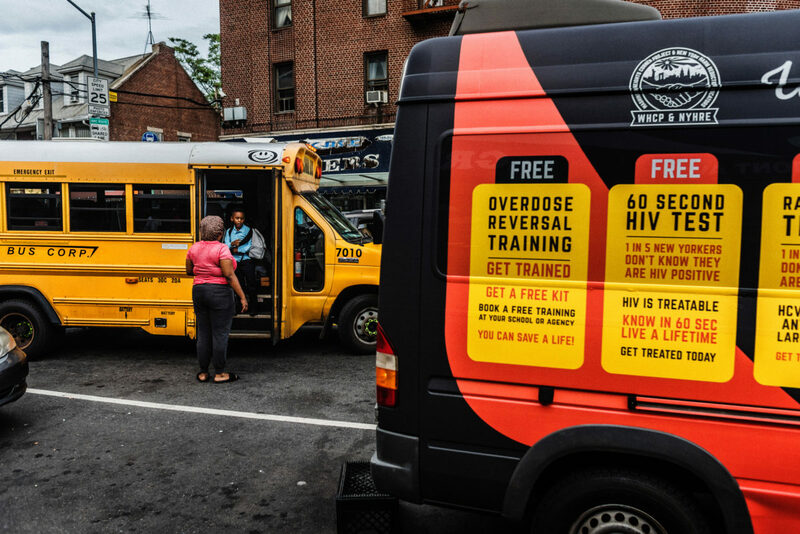 It has become the most fatal drug crisis in modern American history, and much of its coverage perpetuates the class warfare that has lingered since the “war on drugs” began in the 1970s. We still see gratuitous photos of people jamming needles into their bodies. We still see photos of nameless men and women shackled by law enforcement and dead, bloated bodies carried out of filthy homes. Drug addiction is real; it is menacing and ugly. 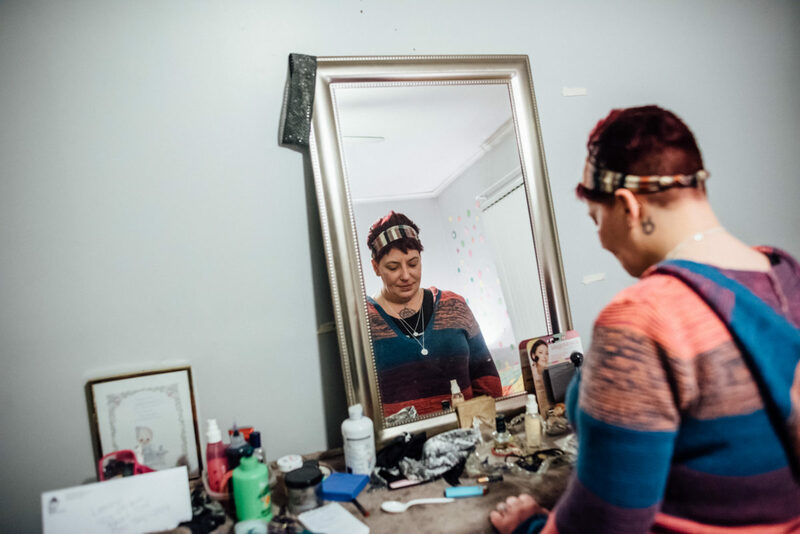 But if we fail to maintain the humanity of the people who share their stories with us, addiction coverage turns drug users into caricatures or props. When suffering is coupled with exploitation, those who are photographed are never allowed to live outside of the pain they’re in, because those photos turn a single behavior into an identity that exists in perpetuity. Rich people do drugs, too. 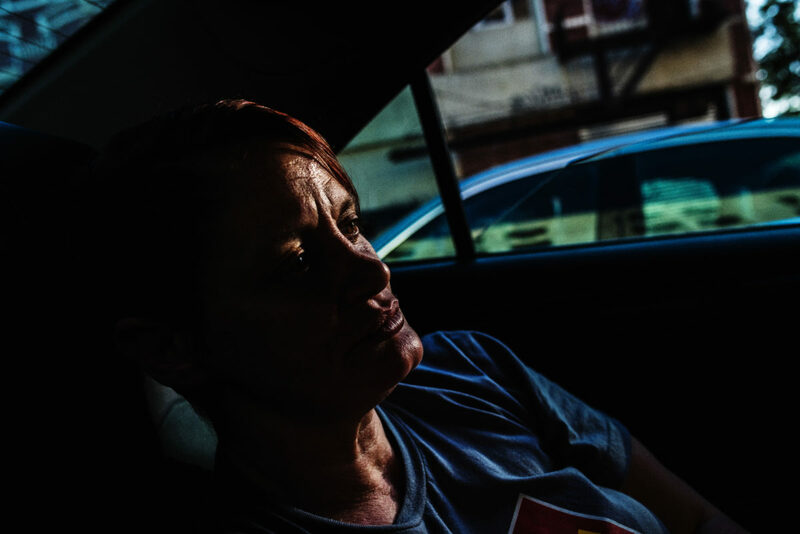 But they don’t often end up on the streets or in the methadone clinics where journalists almost always go to tell the story of the opioid epidemic. 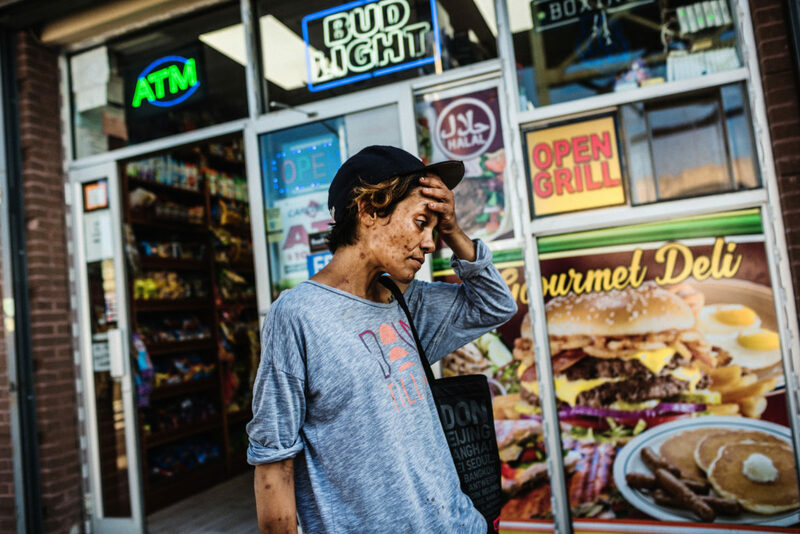 This is a public health crisis that is affecting all classes of Americans, but the poor are often the only ones seen suffering. 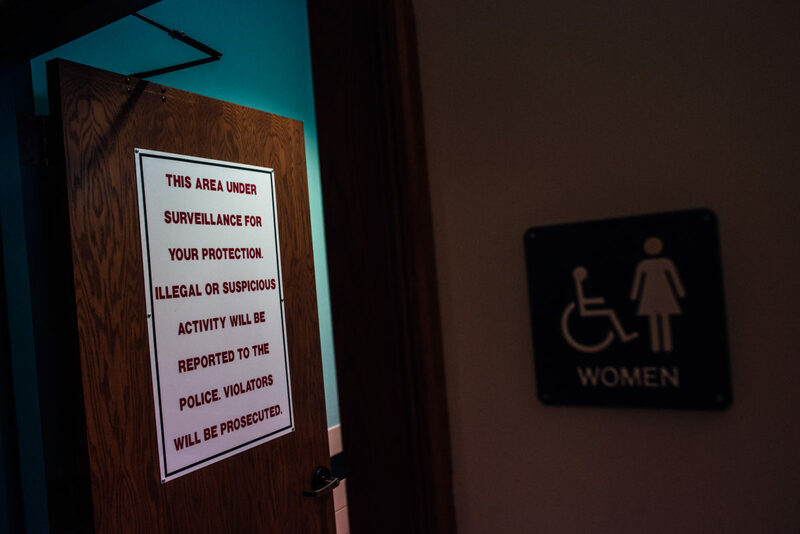 Photojournalists will always be tempted to make graphic, evocative imagery, but we must move on to more nuanced, compassionate work about vulnerable people. We need to see more stories on harm reduction, policy reform, advocacy groups and the variety of evidence-based recovery. We need to see the ways that families and communities are fighting and responding to the devastation in their homes. We need to acknowledge the racial and class biases in drug coverage and the representational mistakes made by those in editorial power. We need to understand how language perpetuates stigma. 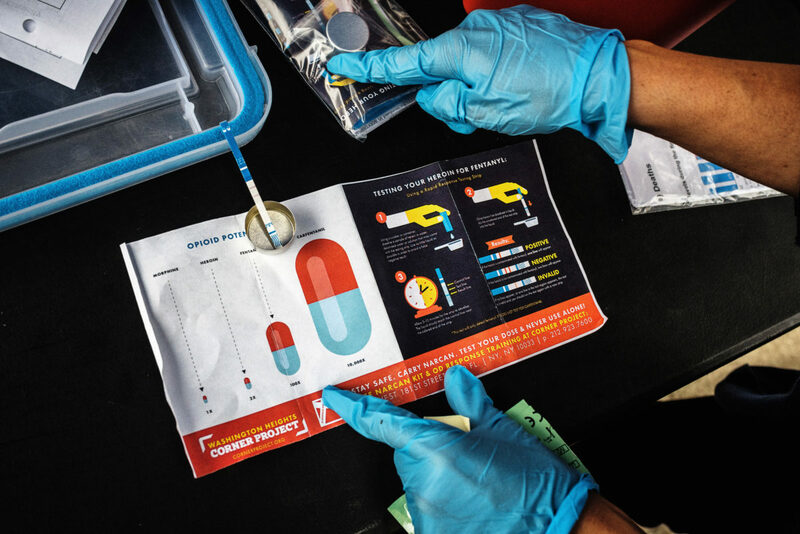 We need to be aware that the words, photos and captions we use as journalists can be weaponized in an already volatile national conversation around drug use. 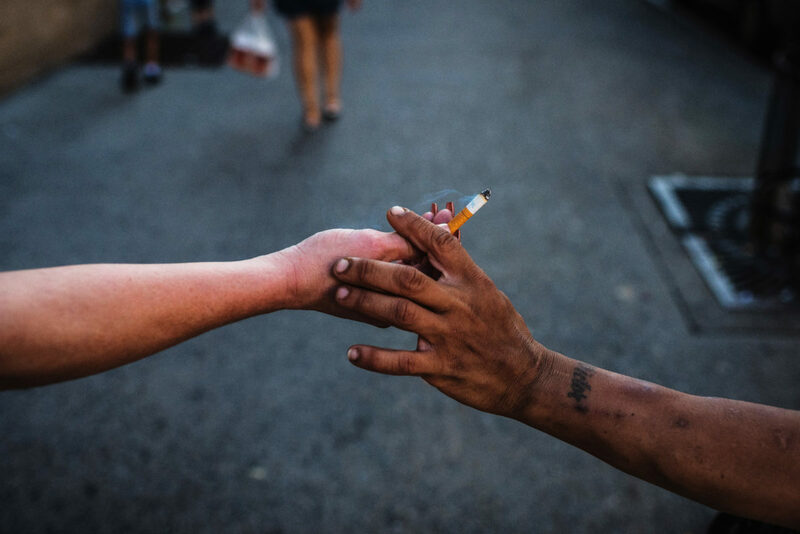 Most important, we need to represent people with addiction as human beings, even if they seem unable to protect themselves when their illness is at its worst. Some people who use drugs never see peace, and that’s a reality that journalism has to portray. But it is important we do not paint American drug use with a monolithic brush. It is difficult to make sensitive stories, and journalists cannot create redemption. But we can find where it lives and make it louder.